The godly mangoes are finally here to make summer sweeter! As we all know, the only good thing about the hot, sweaty Indian summers are the luscious mangoes. The King of Fruits makes an appearance during the sweltering summer months and suddenly, the summer doesn’t seem so bothersome any more. The juicy sweetness of a bite of mango has the power to rejuvenate you and soothe your senses. There are tons of delicious mango delicacies that you can concoct out of a good mango. Even unripe mangoes are amazingly tasty when made into chutneys and pickles! Here are 5 mango delicacies that are bound to make your mouth water! One of the commonest yet tastiest mango recipes is this sweet and creamy mango pulp that can be eaten by itself or with some hot and soft puris. More often than not, puri aamras ends up becoming the easiest dish to cook up when unexpected guests show up at your door during summer holidays! And the best part is, they love it, no matter how simple it is! Nothing quite refreshes the senses like a chilled glass of aam panna after a tiring day out. Especially during summer the heat-resistant properties of aam panna are a godsend. Made from green mangoes, aam panna is a sweet and sour way to shoo away the sweat and feel almost human again! This side dish is a great way to make your boring meal more interesting and delectable. Made of mangoes and yoghurt, aam raita is a sweet and tangy delicacy that can be eaten with rotis or steamed rice. Add some mustard seeds and a few red chillies for the savoury flavour and then garnish the raita with a few mango chunks for lip-smacking taste! If you have ever tasted the creamy, sweet taste of the Indian version of ice-cream, you know you just can’t stop at one. When it comes to mango kulfi, we’ve found that it’s hard to even stop at two! The flavour of ripe mangoes hitting your tongue is just too good to resist and when chilled, it is just heavenly! Every Indian loves mango pickle and nothing can change that fact. We can eat it with dal rice or with rotis or paranthas or pulav… even all by itself! Indians are big fans of sour foods and loving mango pickle is just in our nature, isn’t it? Which of these mango delicacies do you plan to cook up this summer? Share your own mango recipes in the comments section below! 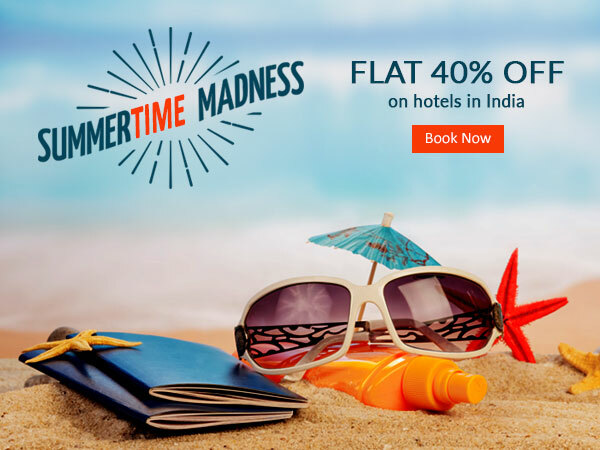 To know more about the Travelguru summer hotel sale, click here.